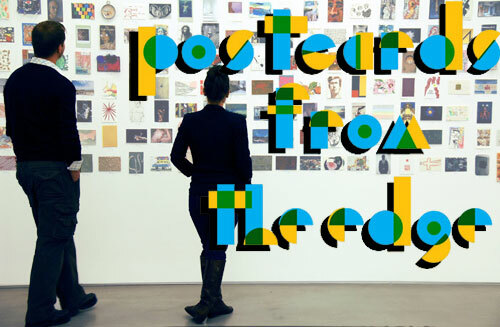 The 21st Annual Postcards From The Edge will be held at Bortolami Gallery, 39 Walker Street, Tribeca, New York, February 22, 2019–February 24, 2019. I’m one of the participating artists in this benefit for Visual Aids. 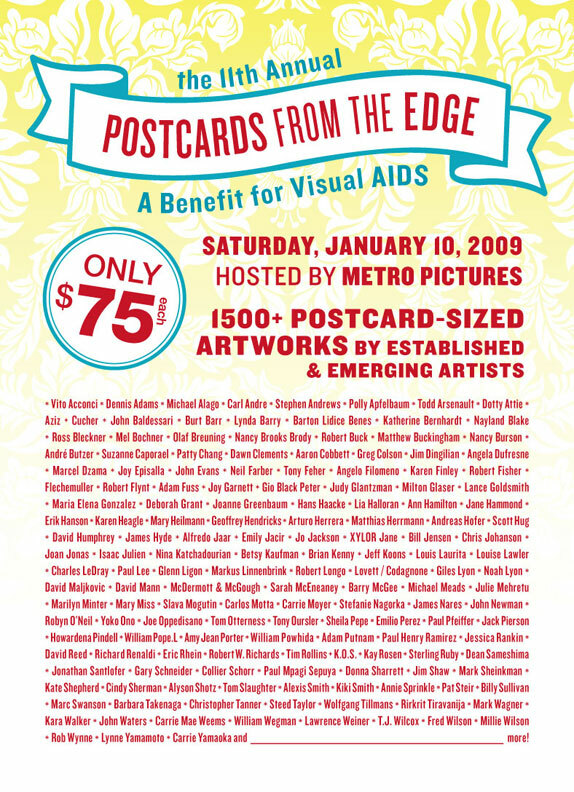 I’m participating in the 14th Annual POSTCARDS FROM THE EDGE, a benefit for Visual AIDS. This weekend, January 7-8, 2012. Hosted at Cheim & Read 547 West 25th Street, NY. From the Macintosh studio, that is. Since this blog is in sore need of some Spring freshening up. 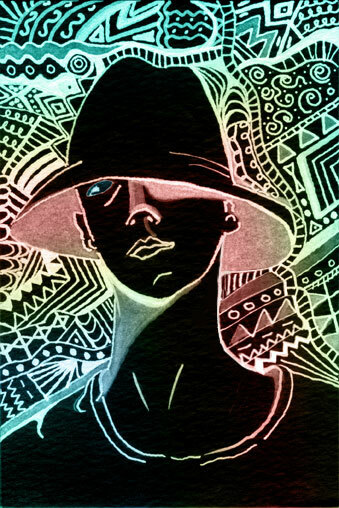 Based on my original drawing that was the submission for the Visual Aids show in New York, scanned into the computer, and then… whatever it is I do. Over 1400 artists, including me, are participating in this year’s Postcards From the Edge , a benefit for Visual Aids in New York. A Benefit for Visual AIDS I’m participating in. The Benefit Sale — ONE DAY ONLY! $75 admission* includes one raffle ticket. Additional raffle tickets $20. Your only chance to get a sneak peek at the entire show! No sales, but one lucky raffle winner selects the first postcard. More prizes: Keith Haring the new 10lb $100 Rizzoli catalog & artist multiples from ARTWARE editions and Tulip Enterprises. Special hosts: The Imperial Court of New York. Plus a silent art auction. Wine courtesy of Wine & Spirits Magazine. *Participating artists attend free.